This is a sponsored post written by me on behalf of Stop & Shop for IZEA. All opinions are 100% mine. 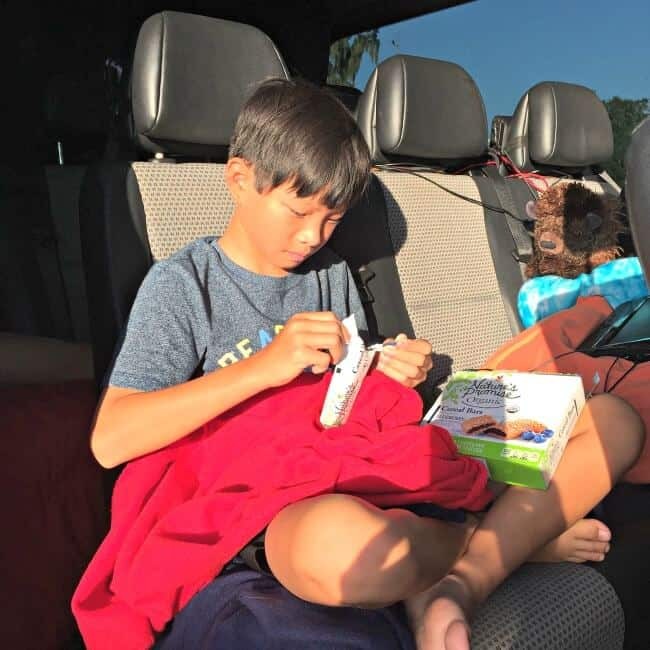 This past weekend, the kids and I hit the road again for one of our family's epic long road trips- traveling from NY down to Florida's East Coast beaches for a little end-of-summer vacation. It is a lot of miles to cover- especially with only one driver (my husband and my oldest son stayed behind to work this week), so I like to spend as little time as possible at rest stops to re-fuel both the car as well as our bodies. And that generally leads us in the direction of too much fast food and unhealthy snack choices. As in all things, I prefer to strive for some balance. If I know we are going to indulge in donuts for breakfast on the road or maybe even cheeseburgers and fries for lunch, then I want to balance that out by making sure that the car is stocked with some healthier choices for snacking while the miles roll by. 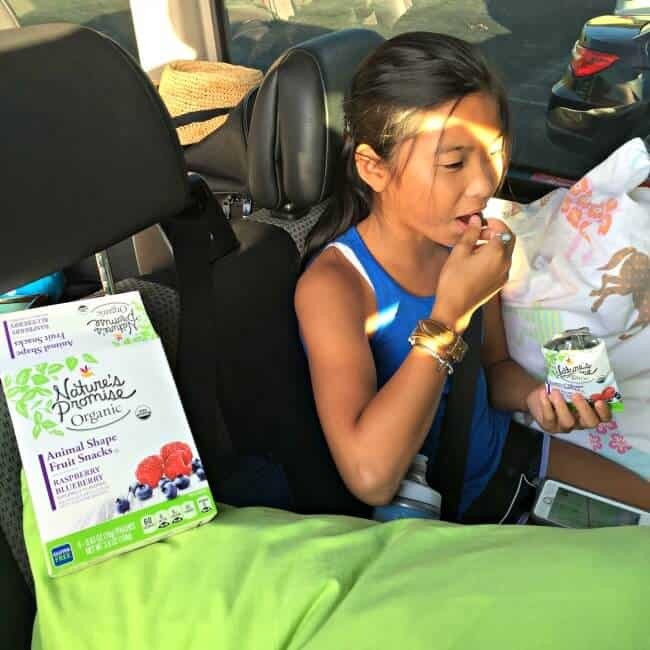 Before we left for this 1100 mile journey, we headed to our local Stop & Shop to load up on road trip snacks from Nature’s Promise®. What I love about Nature's Promise® snacks is that you can find organic choices (which means that product meets all USDA certification requirements to carry the USDA Organic seal) as well as Nature's Promise® Free choices that are free from nonessential stuff like artificial colors, artificial flavors, and artificial preservatives. 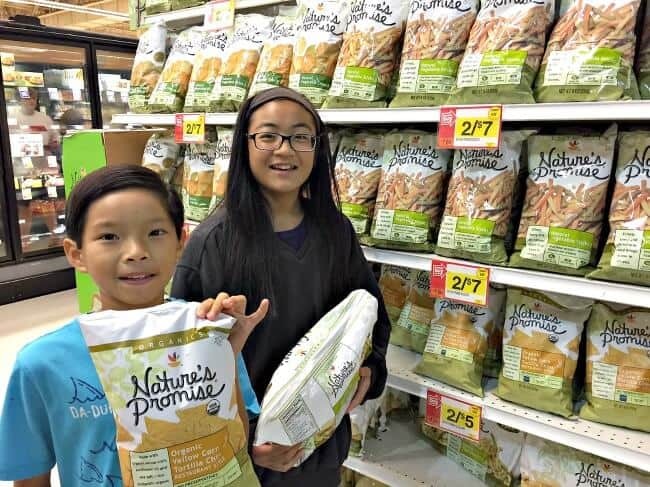 Best of all- Nature's Promise® snacks are affordably priced! 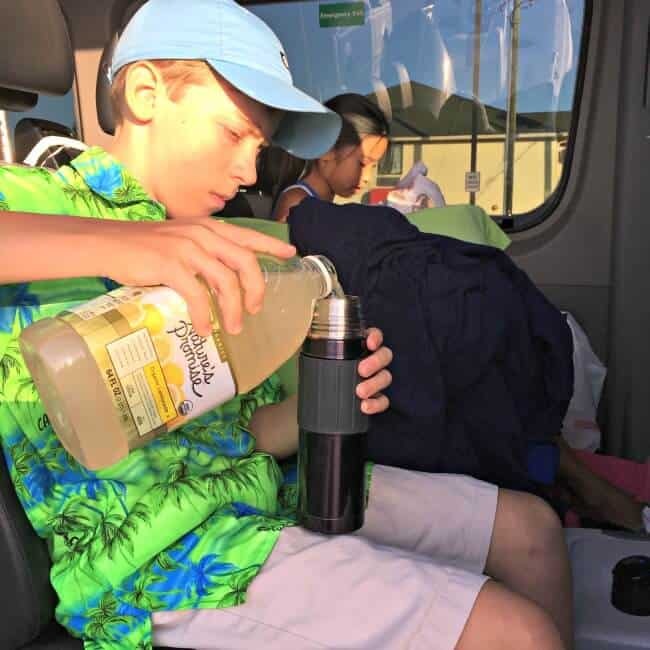 For this trip we picked up a couple of bottles of Nature's Promise® lemonade- which we pour into our reusable drink bottles while at rest stops. And Alex grabbed the Nature's Promise® organic blueberry cereal bars. 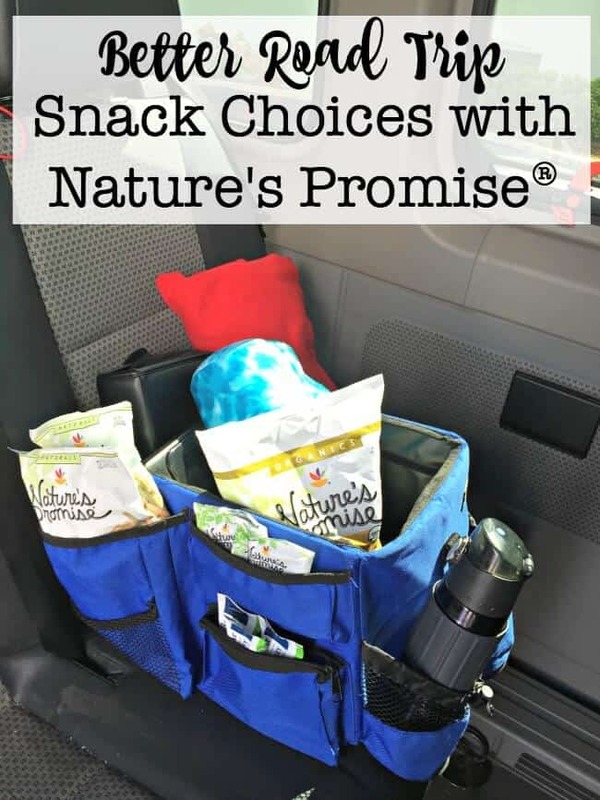 Since I prefer salty snacks while I am driving, I also brought along a few bags of Nature's Promise® organic corn chips and veggie sticks. Yummy! Want to try Nature's Promise for your next road trip? Load Offers for Nature’s Promise Products To Your Stop & Shop Card Here. Using mobile? Click here to load offers! What's your favorite road trip snack? Leave a comment and share! Load Offers for Nature’s Promise Products To Your Stop & Shop Card Here. Using mobile? Click here to load offers!